Brochures are affordable yet effective. 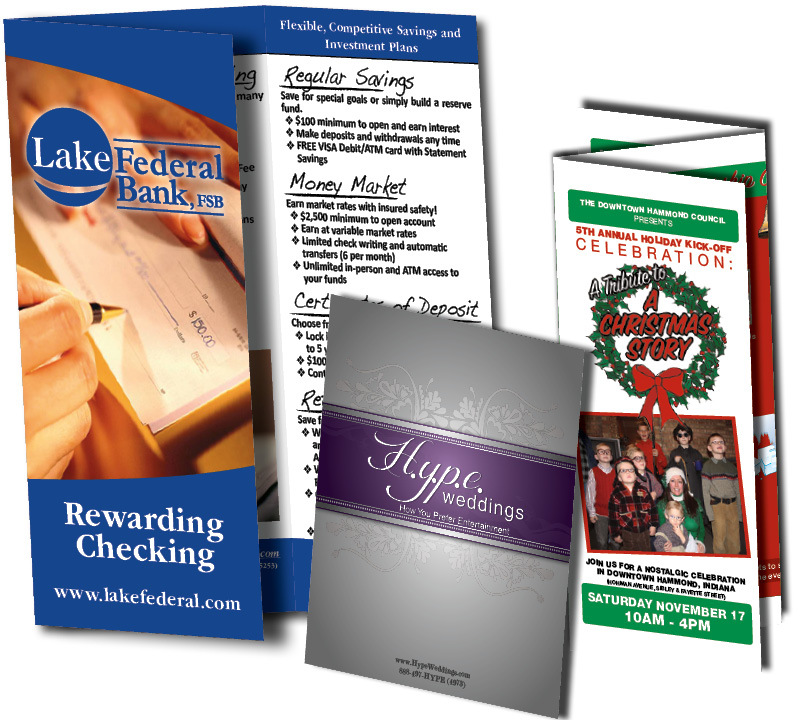 Brochures are a low cost item for your marketing package. Used along with Business Cards, Letterheads and Envelopes; they will be a cornerstone of your branding identity. Great for use at trade shows, brochures can help deliver your company message. As handouts they may list services and products that you have to offer. Even just placed strategically around your business they may promote a new item or service you wish to focus on. Traditional usages of brochures is to promote services and products they can be useful for other applications as well. A lengthily contract or terms of service can be daunting for an outsider to your industry to read. Also, Breaking the information up into easier to understand portions in the form of a brochure will help with this. Having an easy to access list of all your products and services makes you more accessible to you your customers. Exploring all the possible items and options you offer with a prospective customer, having a handy list will make the process go easier and creating results. Having everything listed and spelled out will help put them at ease and in addition will even answer questions that clients will have even after you are gone. The brochure will do the talking for you when you are not around. We offer a range of brochure options to meet your needs. If you are a startup and just need standard sizes and frugal paper choices we can help you. Premium paper is always an option for a strong appearance and will create a sharp finish item as a result. We will help you from start to finish building the best brochure for your individual needs.